Paeonia lactiflora "Pillow Talk". A full double rose in a rose flower. They rarely come cuddlier than Pillow Talk. The large flowers are soft pink, varying with the temperature they lean to cameo pink. 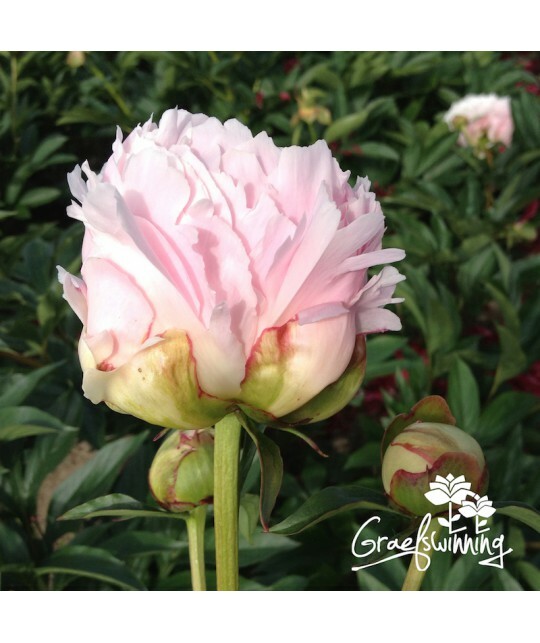 The beautiful blooms are held well above sturdy stems, however need some support in adverse weather. The foliage is healthy and contributes to a vigorous and healthy plant growth. 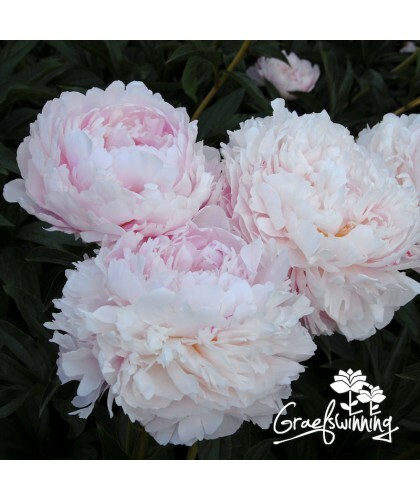 Several side buds extend the flowering season of this gorgeous fluffy peony, ideal for the romantic garden or as a precious cut flower. 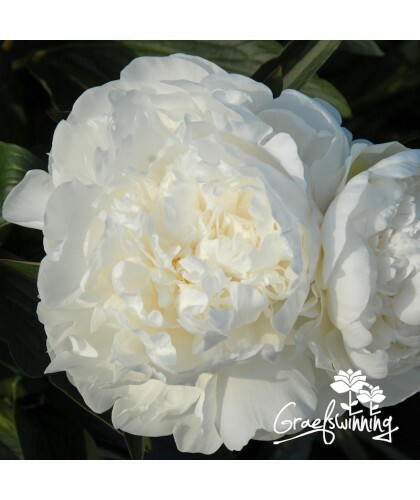 American Peony Society Gold Medal 1994.